Cristiano Ronaldo's new Las Vegas lawyer has rubbished the claims that the Juventus star raped a woman back in 2009 as 'complete fabrications' but says the encounter was consensual. On Sunday, October 7, 2018, Cameroon held their general election and President Paul Biya ran for his seventh term in office. Although, the election results are yet to be announced as the electoral officials are still counting the votes. But here is a viral video of a man holding a bizarre incantation for President Biya so he'd lose the election. The police in Lagos state have arrested a 22-year-old married woman, Sulyiat Badmus, for stealing her boss, Shukurat Opeoluwadu's five-month-old baby in the Odoguyan area of Ikorodu in the state on September 27th. A Nigerian man identified as Bright Sylvanus has invested in a Nigerian lady whose photos went viral after she was raped. The Provost and Medical Director of Neuropsychiatric Hospital, Aro, Abeokuta, Ogun State, Dr Timothy Adewale has disclosed that not less than 250 to 300 mentally-ill persons are admitted monthly into the hospital. Adewale, who spoke at a press conference and seminar held to mark the 26th annual World Mental Day titled “Young People and Mental Health in a Changing World,” at NUJ Secretariat in Abeokuta, said that one out of four people is likely to have mental illness in any society. 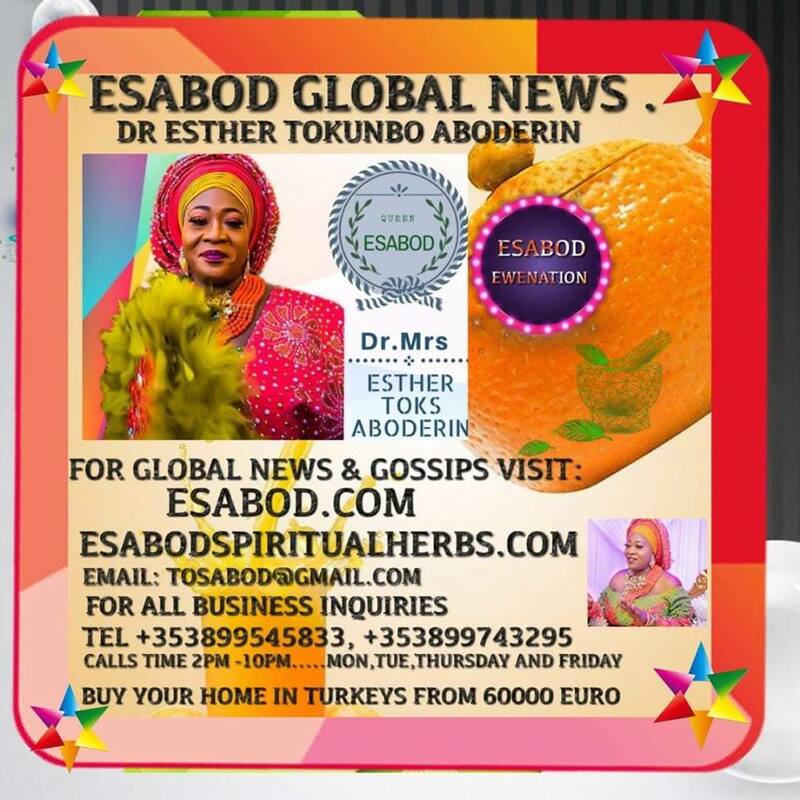 Daily Trust reports that Osun state’s Commissioner of Police, Fimihan Adeoye and some police detectives have busted an evil 419 shrine located at Oke-Woru, Gbaemu area in Osogbo, capital of Osun State, on Tuesday. One of the fraudsters arrested at the shrine, Oyegbile Durojaye confessed that the shrine which was set up on the pretense of helping people was in reality set up to dupe people. Singer and mother of one, Tiwa Savage is indisposed. She honored an appointment with her doctor at the hospital and to our biggest surprise, she burst into tears on the sight of an injection. Nigerian film-maker and actor, Ufuoma Stacey McDermott is celebrating the 6thbirthday of her son whom she had through IVF. “Ayam tired of sleeping alone”. The victims who were immediately taken to Asokoro general hospital suffered some 40 to 50 degree of burns. A pregnant woman, who simply identified herself as Ajayi who works at the restaurant, said that they were all going about their normal businesses when the gas suddenly exploded. Ajayi, who is three month pregnant, said that she needed to go for scanning to ascertain the condition of her baby. Popular OAP, Tolu “Toolz” Oniru has said that being married is not the ultimate goal of life, stating that happiness and peace is the goal. Eight soldiers and 48 Boko Haram militants were killed in clashes in Chad on Wednesday, officials said. The Tour de France trophy won by Team Sky’s Geraint Thomas earlier this year has been stolen during a cycle show in Birmingham. President Buhari today received APC governors in State House.In attendance were Imo State Governor Rochas Okorocha, Borno State Governor Kashim Shettima, Kano State Governor Abdullahi Umar Ganduje, Bauchi State Governor Mohammed Abubakar and Lagos state Governor Akinwunmi Ambode. A physics teacher has been banned from the profession for life for marrying a 13-year-old girl he had met three days earlier. The police have confirmed that the will question Portuguese star, Cristiano Ronaldo over claims he raped a model back in 2009.Las Vegas officers aim to quiz the ex-Manchester United star about the alleged sexual assault of Kathryn Mayorga, 34, in June 2009. A Ghanaian pastor who is the The leader of the Anointed Palace Chapel, Rev. 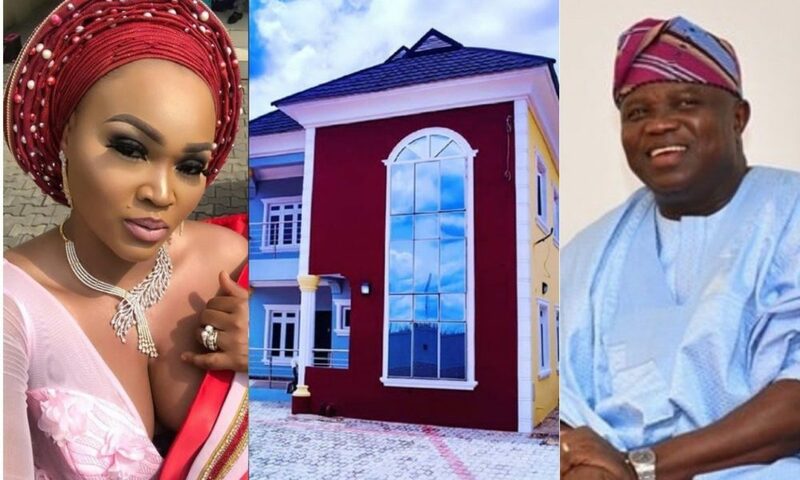 Obofour, has revealed how he was led by the Holy Spirit to see The Mermaid last Sunday.The controversial pastor, who has been in the news over the past weeks for various reasons has again dropped another bombshell with respect to things that happens in the spiritual realm. The continuation of the trial of Danish national, Peter Nielsen, who was charged with the murder of his Nigerian wife, Zainab, and the daughter, Petra, was on Tuesday in Lagos fixed for October 10 (today). 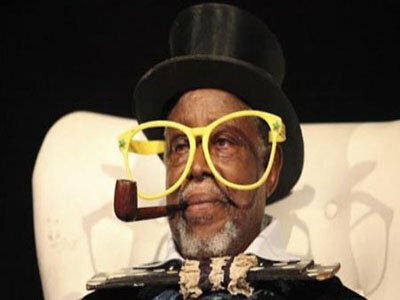 The family of the late Moses Adejumo, popularly known as Baba Sala, has alerted members of the public on the plot by some scammers to rip them off using Baba Sala’s death as an excuse that the family needs financial assistance. Two brothers have been arrested by detectives of the Ogun State Police Command for alleged brutal murder of an Okada Rider, in the process of robbing him of his commercial motorcycle. A bus accident in Kenya has killed no less than Fifty-one people. The tragic incident happened when the bus overturned and its entire roof was ripped off in the accident early Wednesday, police said.“It is unfortunate that we have lost 51 people,” Kenya’s police chief Joseph Boinnet told Capital FM radio. Sad! Baba Sala's son reveals how his father died. One of the sons of the legendary comic actor in a brief interview witch revealed how his father passed away. Read below..
Zimbabwe police will stop planned protests by the labour movement against a new tax on money transfers on Thursday because of a standing order outlawing public gatherings in the capital following a cholera outbreak, its spokesman said. 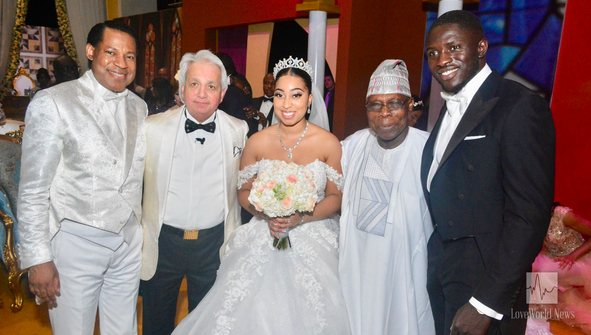 The Wedding between Sharon Oyakhilome, the first daughter of Pastor Chris Oyakhilome and her Ghanaian lover, Philip Frimpong was the talk of the town last weekend, with top dignitaries in attendance. Pastor Benny Hinn Officiated the elaborate ceremony. A Chief Magistrate’s Court in Minna has ordered the remand in prison custody of a 55-year-old security guard, Michael Itang, accused of defiling a 10-year-old girl. 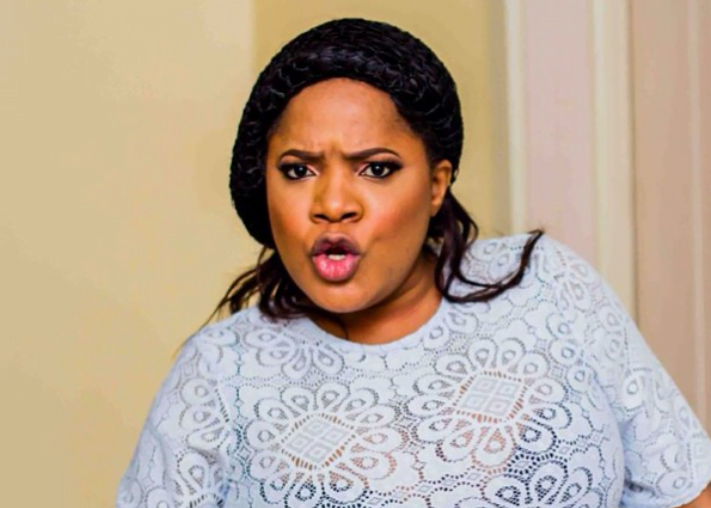 Nollywood actress, Funke Adesiyan, has said that the mandate she won to contest for a seat in the Oyo state house of assembly has been taken away from her. The actress had emerged winner of the All Progressives Congress (APC) primary in Ibadan south-east zone. Dapo Lam-Adesina, Oyo lawmaker, has explained why he decided to walk away from Governor Abiola Ajimobi’s camp in Oyo state.